TCO Certified is a world-leading global sustainability certification for electronics, founded over 25 years ago. Criteria include socially responsible manufacturing, environment, user health and safety, and ergonomic design. 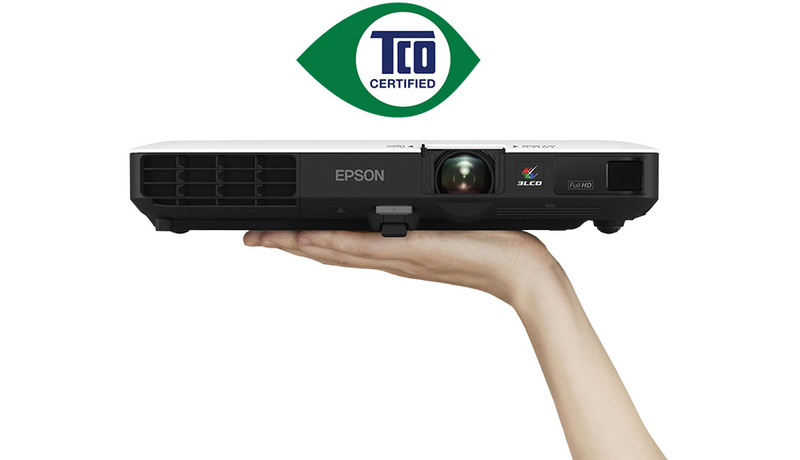 For projectors also includes the exclusive TCO Certified image size measurement for optimal recommended image size for each product model. All criteria are developed from a lifecycle perspective, covering manufacturing, use, and end of life or recovery phases. Certified product models and the facilities where they are manufactured are independently verified for compliance, along with sustainability initiatives undertaken by the brand company. TCO Certified is available in eight product categories, including computers, projectors and displays, among others. TCO Certified is a Type 1 ecolabel, in accordance with ISO 14024. TCO Certified helps purchasers and manufacturers reduce their environmental and social risks, while helping them take concrete steps toward a more sustainable life cycle for electronics. TCO Certified’s comprehensive criteria are designed for sustainability throughout the product’s lifecycle: manufacturing, use, and end of life. Independent verification of the product, factory and brand owner compliance is included, both pre and post certification. Epson display products have been designed to reduce a business’s environmental footprint and minimise power consumption both when projecting images and when idle. The technology includes an energy-efficient basic design and power-saving options on the ECO menu and, when the projector is idle, Ultra-Low Brightness mode reduces power consumption when the unit is not projecting. We are delighted that our projector display products are now designated with TCO Certified. Epson’s commitment to achieving the highest quality standards for its products means we manage much of our manufacturing in-house, making it easier to control working practices across the whole manufacturing cycle, from production to delivery. Added to this, we strive to design compact, energy efficient products that minimise impact on the environment without diminishing performance. For more information, simply fill in your details below and an Epson representative will be in touch.